There is a 3:1 ratio of sheeps (15 million) to humans in Wales. There are at least 751 castles. Oh, wow. Before we knew it, we had reached the Cardiff Central Station at exactly 2:00 PM, that was 2.5 hours since we left London Paddington Station via the Great Western Railway. As we walked from the station to our hotel, we instantly noted the (very little) similarities and differences among Welsh, Scottish and English. Right there and then, we knew that we will have a unique and meaningful experience. That includes misadventures! View from hotel at 6:30 AM. 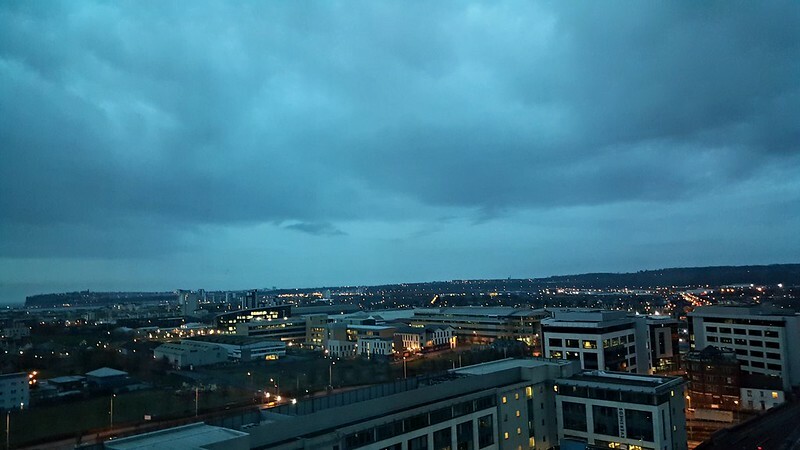 Overlooking Cardiff City Centre. Here are our top 10 experiences in South Wales. We decided to explore South Wales in this first visit (April 2016) due to its proximity to London. (Note: it would be more practical to visit the north if you are traveling from other parts of England.) Hence, it was a priority to visit an area which can reasonably give us a macro view of Wales. 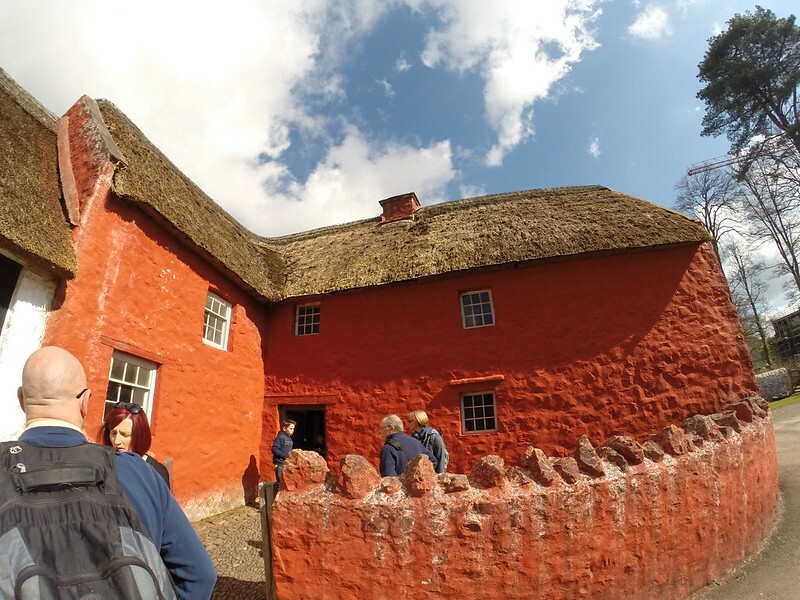 We went to St. Fagans National History Museum. 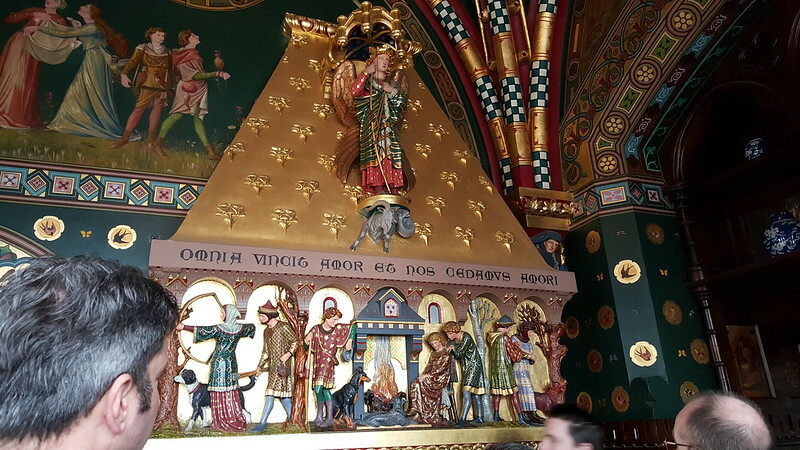 It is an impressive open-air museum which provides up-close experience of how the old Welsh thrived. There are craftsmen, blacksmiths, millers and more. Further, amongst many others, it showcases primitive architecture, a castle, church, gigantic trees, sheeps and other animals, traditional circus/ carnival (most of it is operated manually) and a gorgeous park. Each corner can easily make you grapple that you were setting foot in different eras. It is no surprise that this open-air museum is one of the top 10 UK free attractions. Spending the whole day here is a must. It is open from 10:00 AM – 5:00 PM. From the city centre, we rode a public bus to St. Fagans. The bus fare included a return trip to the city centre. You may return at anytime of the day. Just be mindful of the bus timings. I suggest to check the schedule of activities in the museum before visiting. At first glance, Cardiff Bay was reminiscent of Fisherman’s Wharf of San Francisco. At scrutiny, it is only the Mermaid Quay which echoes similarities due to the restaurants, shops, etc. If there is a slice of the capital of Wales that is one of my favorites, it would be the entire Cardiff Bay. While I will likely stay within the city centre as a tourist, I will definitely reside in this area next time. It is serene and busy at the same time. However, always stunning. I believe that Cardiff has done a great job in transforming it to its current state from being dilatory prior to late 1990s. There are plenty of activities and intangible stuff to revel in this area. 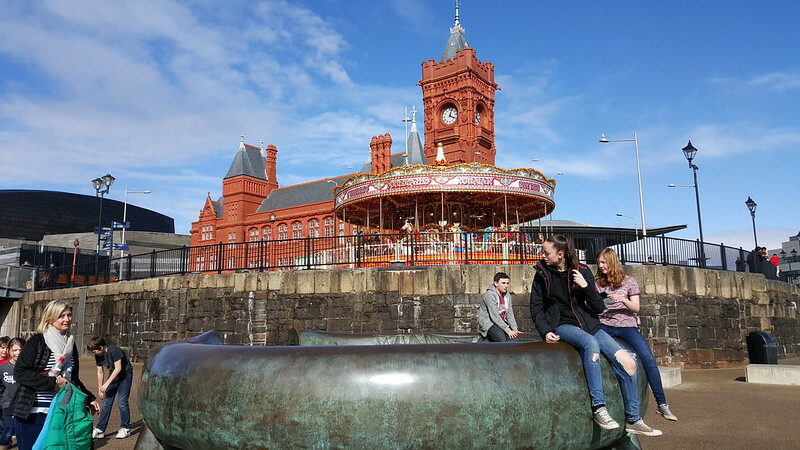 I liked how laid-back it may seem at one corner, where there is a carousel with a backdrop of Pierhead, still stunning considering it was built in 1897. 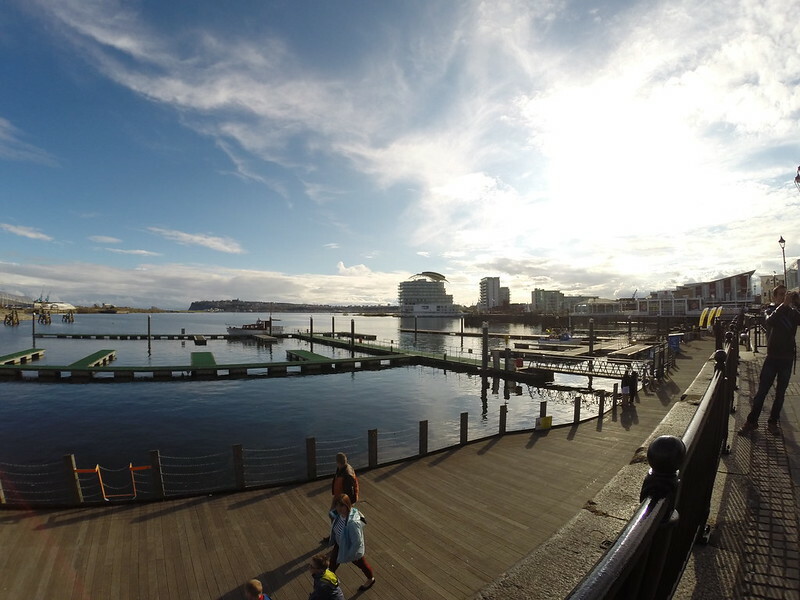 Of course, for Doctor Who fanatics, the entire Cardiff Bay or Cardiff itself is heaven. Most of the scenes were filmed here and the Doctor Who Experience (almost similar to England’s Harry Potter’s Studio Tour) is within this bay. Amongst the many buildings around which is impossible to miss is the Norwegian Church. 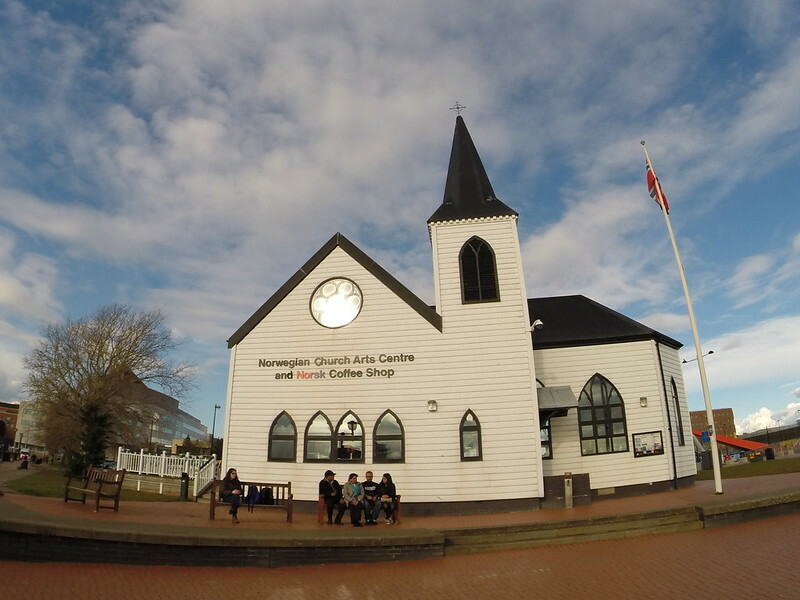 Why is there a Norwegian Church in Cardiff? Apparently, there were sailors and dock workers who settled in this area together with other nationalities when the exports business in Cardiff grew. Currently, it has been converted into an arts centre. It is sometimes used as venue for small concerts. 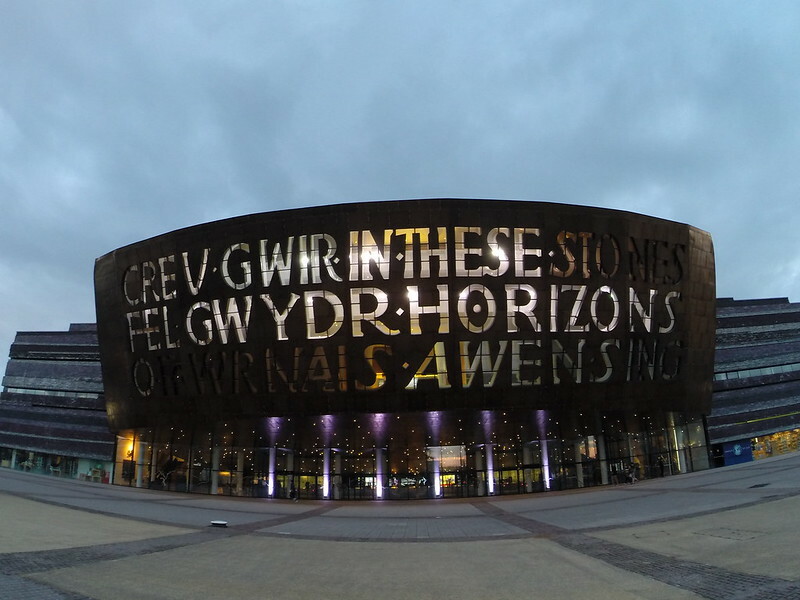 One of the most striking buildings I have seen in the entire UK so far is the Wales Millennium Centre. 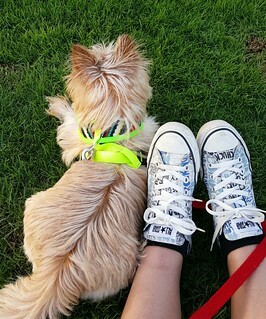 It is so dazzling particularly at night. We wanted to watch a show that night, even willing to invest on last minute tickets. Too bad, the only opening was for a mind trick-like show, which we found not too tempting. We look forward to visiting it again as a consumer. Entry to the centre is free. I suggest that you look in and around. A genius creation of man, seriously. We took a cruise to maximize our visit to the bay. It took us to the other lovely town, Penarth. We were given at least 30 minutes to explore it. I suggest that you take an earlier timing of the cruise to have more time to explore it. The cruise back to Cardiff Bay allows you to board at a later timing. However, we opted for the last trip. 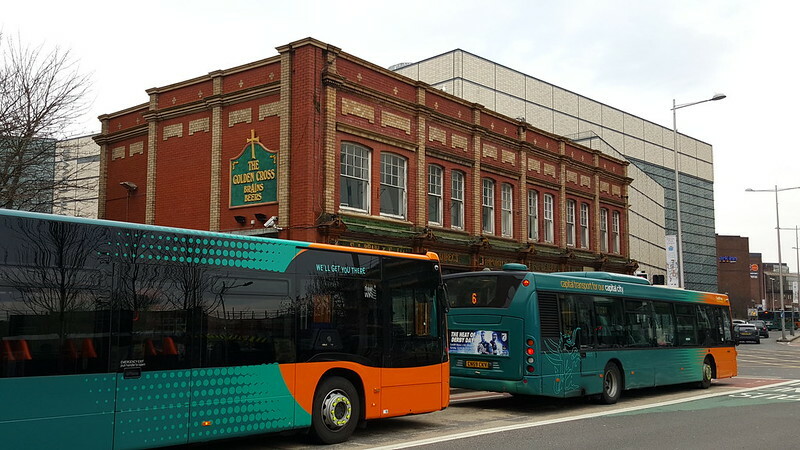 We took the public bus from city centre to Cardiff Bay. I opine that it would be more practical if you avail the 1 day ride-all-you-can ticket if you plan on exploring the city, instead of the city sightseeing bus or hop on-hop off style bus. We have visited 2 of the 751 castles in Wales. First is the medieval Cardiff Castle and the other one is the currently non-operational Raglan Castle (see number 4). Compared to the castles we visited in England (i.e. Warwick and Windsor), I find Cardiff Castle quite colorful, particularly the apartments. Historians say that without the castle, Cardiff may never had become a city. It is quite admirable that the owners handed over/gifted the people of Cardiff this castle in 1947. During our visit, we explored the Roman Wall, Norman Keep (quite a hike! ), wartime shelters — a little eerie with those sound effects, the park where the trebuchet (i.e. replica of a 13th century siege engine developed to attack the solid walls of castles) is located, and the castle apartments. We did a 45-minute house tour (with extra fee of £3) to have full access to the apartments and savor the remarkable story telling from the guide. Clock towers and films location tours are other options. Admission ticket is £12 for adults, £9 for child (aged 5 – 16), £10.50 for students and seniors. Admission is free for those under 5 years old. 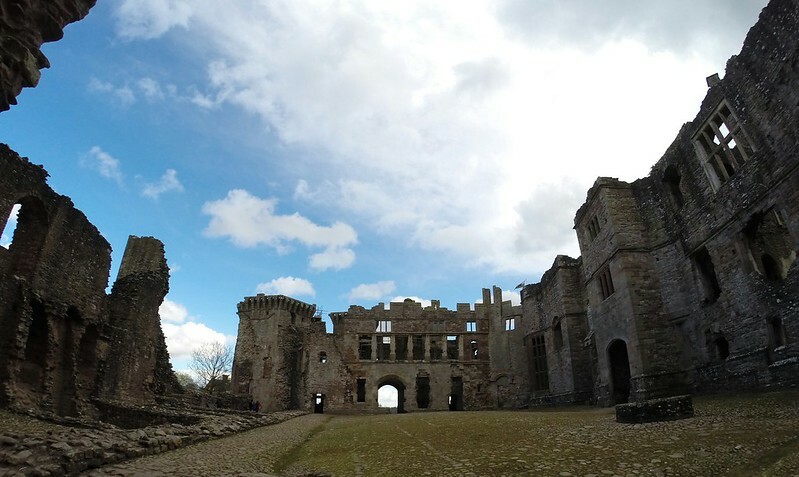 Castle admission includes a free audio guide. 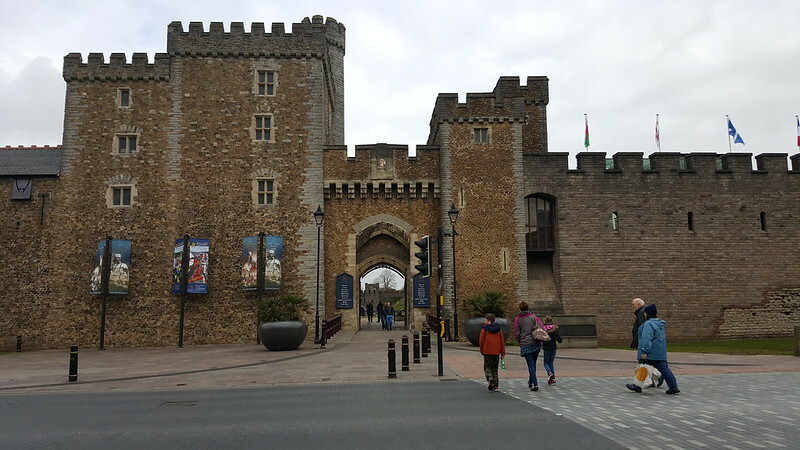 Since Cardiff Castle is within the city centre, I suggest that you take a walk going there as the streets/ areas you will be passing by are pleasant and beaming with points of interest. This is my most favorite amongst the castles I visited in my entire life. Why? As we were approaching it, we went in (like actors) running and like about to attack the king and his army with our (invisible) armors. Under the directorship of our amazing tour guide, Adrian. On a serious note, I liked most this castle or the experience itself because it was a rare opportunity to have visited a non-operating and non-decorated castle that renders itself in an unpretentious form. While our tour guide added to the richness of our Romans and Ruins tour (that includes numbers 4 to 6 in this post), I was thrilled to have inspected each corner of the castle this way. This is a real castle, unlike those which are most of the time misrepresented by the movies and series that show either a very polished and/or unnecessary corners. You probably know that I have (a reasonably managed) fear of heights. As much as I wanted to hike to the top (see that flag at the photo? ), I did not. I am not making excuses, but it was really windy that day. Yeah, I could be a loser. Here is a view of the stone court. What is interesting was that the castle was built to show wealth and power instead of wars in mind. As I write this, The Tudors is happening. I will be blogging about this castle in detail in one of the coming posts. Admission is £6.00 for adults and £4.20 for children. Wheelchair access is limited. 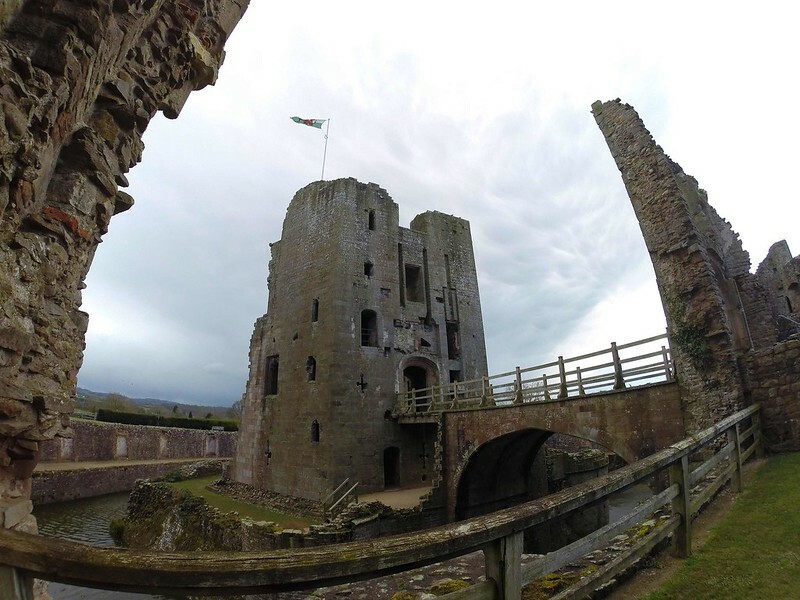 Here is the information on how to reach Raglan Castle by train, bus or car. 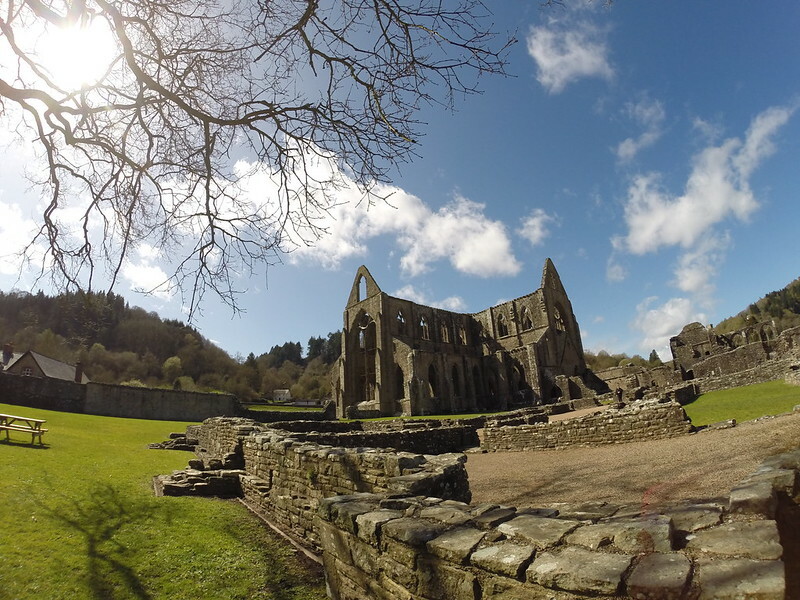 We took the highly commendable Romans and Ruins tour by See Wales when we visited this castle, Tintern Abbey (number 5) and the beautiful town of Caerleone (number 6). If you are imaginative enough, you may actually hear the chants of monks in this monastery near the Wye Valley (forms the border between Monmouthshire, Wales and Gloucestershire, England). The ruins of the 500-year old monastery is still beautiful. No wonder it is and was often the subject of poetry and paintings. 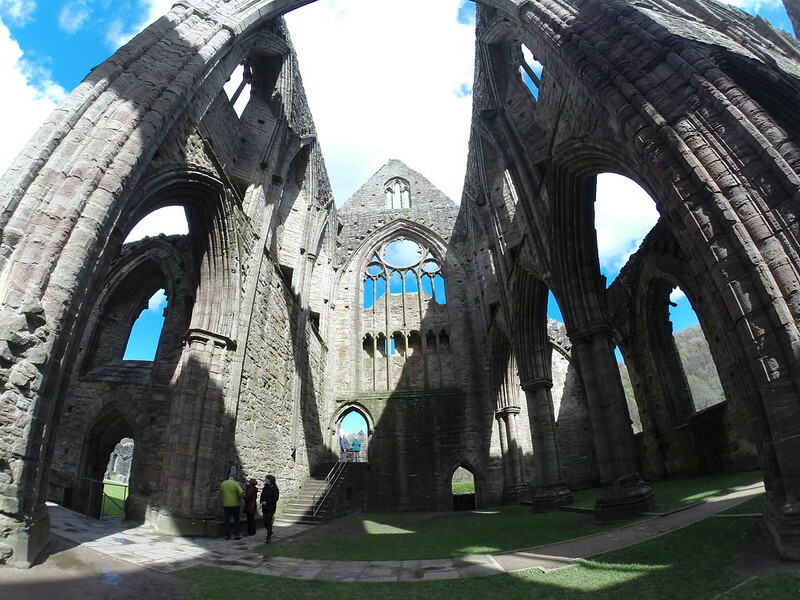 I probably have taken at least a hundred photographs within Tintern Abbey. On the other hand, we have been whipped by (almost the) 4 seasons during our visit here. If I get a chance to revisit, I would like to spend at least a night in Wye Valley. Our brief encounter provided a primer to stepping into a different era. In Newport, Wales, a lovely town of Caerleon can be found. If you are a fanatic of The Godfather like me (I have watched all the movies at least 3 times), you probably know what ‘Corleone’, ‘Carleon’, ‘Carleone’ or ‘Caerleone’ means and affect at an instant. 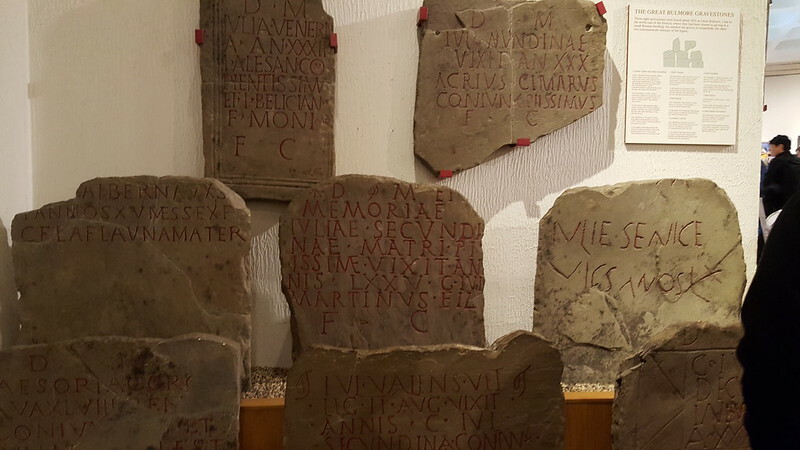 This town was the site of a Roman fortress, hence, it is not surprising that amongst the main attractions here are the National Roman Legion Museum and Roman Fortress and Baths. While the Roman Baths in England is much grander, I found my visit here more personal and engaging. The best part is I had the chance to try a real Centurion’s (warrior) helmet (quite heavy!) and take selfies, of course. 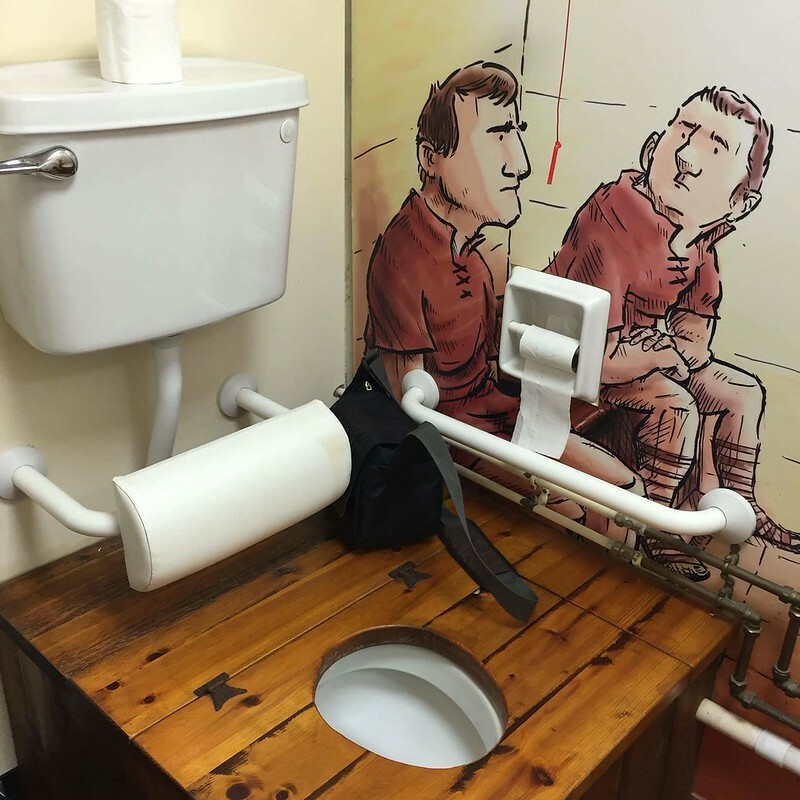 This is probably one of the unique and most photographed toilets in the UK. The first would be the toilet in The Elephant Cafe (aka Birthplace of Harry Potter Novel) in Edinburgh, Scotland. We stayed in a hotel near the High Street. Hence, we developed a sense of ‘being in our neighborhood’ whenever we passed by here. Photographed while taking our first meal in Wales at Jamie’s. There seems to be a variance in taste of some of the dishes between those offered in Cardiff and London. 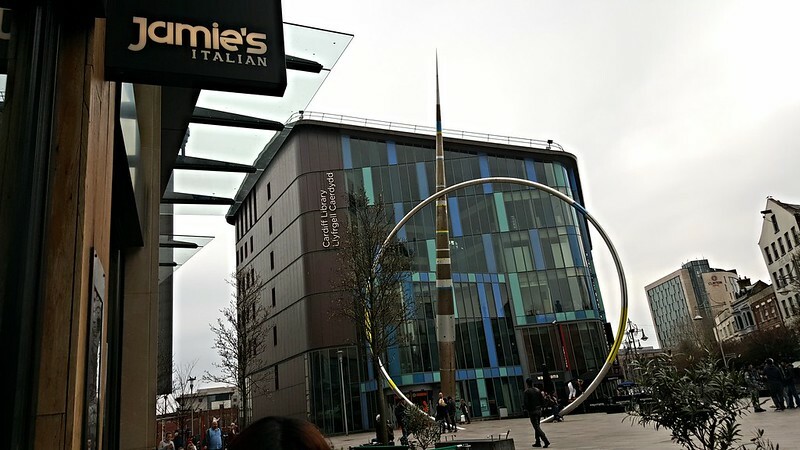 This area houses the Cardiff Library which we visited once only even if I wanted to visit it everyday and at least 3 hours each day, if only we had more time.The 82 feet circle structure in front is Alliance. Inside the library is one of the good vantage points if you would like to take a decent photo of the surroundings. 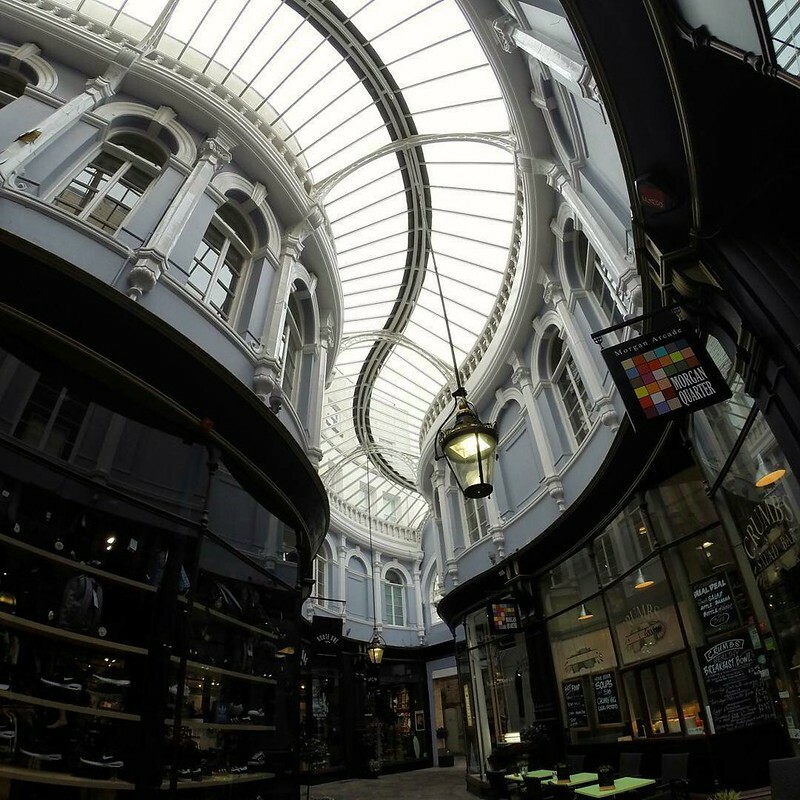 Morgan Arcade, photographed at past 7:00 AM before the crowd flocked in it. The High Street is also home to many arcades (like Morgan, Duke Street, Wyndham, etc.). I suggest that you take a peek of each since it caters to different needs (luxury). We did not buy anything in particular but we enjoyed checking the clothes, vintage stuff, gift items, and the architecture of course. As we strategically stayed in the city centre, we had a chance to explore the points of interest just by merely walking (we love to walk with the UK weather; but I prefer to drive if in the UAE. Hahaha). 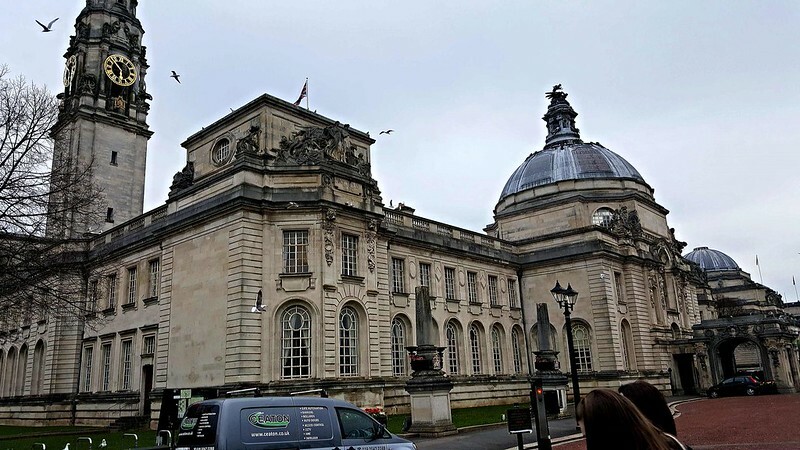 The City Hall is the neighbor of National Museum of Cardiff. When we arrived on a Sunday, we noticed that there was a Salvation Army bus carrying on with the feeding program for the less fortunate in front of it. 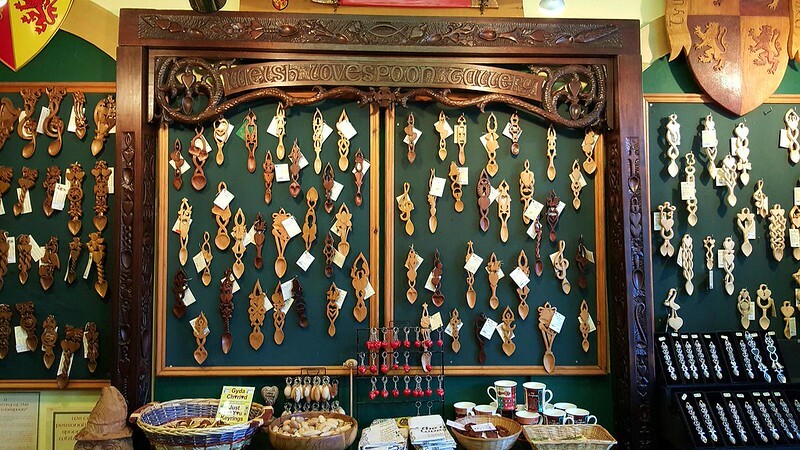 The Welsh spoons are symbolic . The shape conveys different meanings to the recipient, those could be related to love, health, friendship, good fortune, wealth, etc. We visited a lot of gift shops within the city centre. They are like mini museums. There is no intent of bias here, but based on experience, Welsh people offer better customer service than the other areas in UK. If you have just been to the British Museum, you may perceive that the National Museum of Cardiff is small or underwhelming. I believe though that it is a must to visit the national museums of each country and utilize whatever you can benefit from the experience. In terms of archeological, geological and natural history collections, I suggest that you quickly check each of those. If it is your first museum experience, dedicate more time. 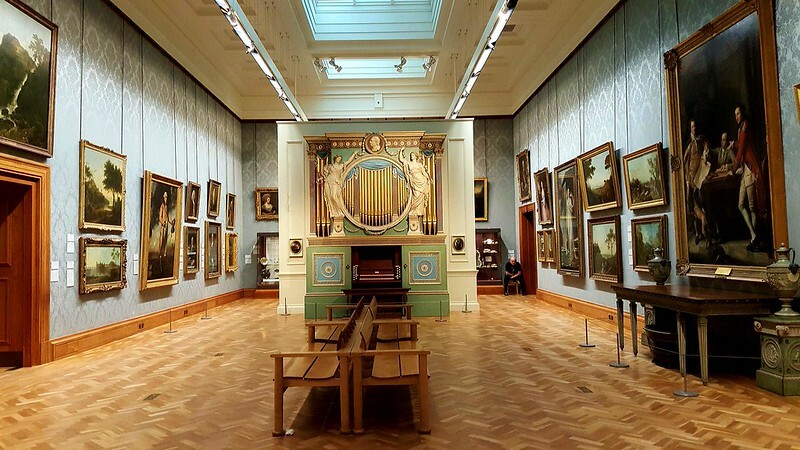 However, invest more time in the arts collections as they are vast and substantial. This museum is open Tuesdays to Sundays from 10:00 AM to 5:00 PM. Admission is free. 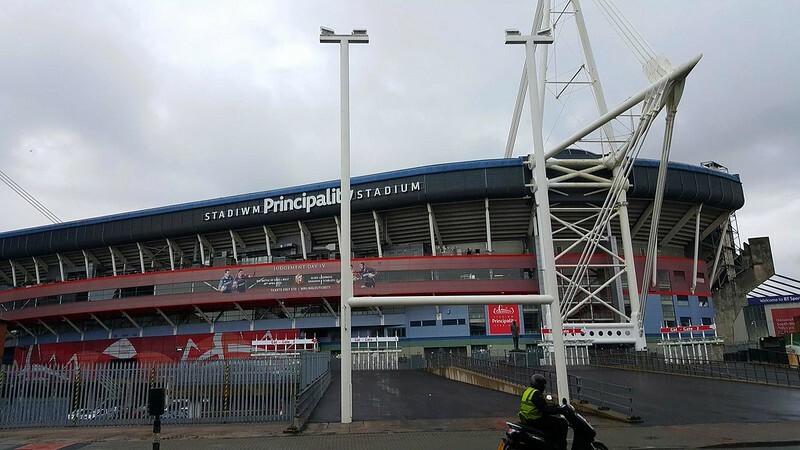 The Millennium Stadium (renamed as Principality Stadium) is another remarkable architecture. Too bad I did not take a proper photo and concentrated on admiring it instead. It is the venue of the many important events like rugby and football matches, concerts, conferences, etc. (Wohoo! Congratulations, Wales for advancing to the quarter finals of Euro 2016. Yeah, I have just concluded watching the match between Wales and Northern Ireland — knock out stage, as I write this.). I hope to coincide our next visit when there is a football or rugby match. I should have learned the mechanics of rugby then. I was consistently motivated to wake up early while in Cardiff because one of the top 5 things in my head was getting a traditional Welsh cake. Where to find the best ones? 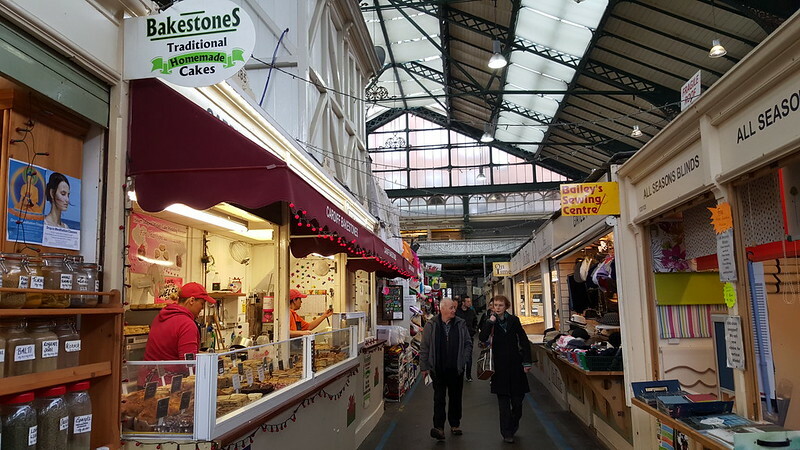 It is from Bakestones in the indoor market. 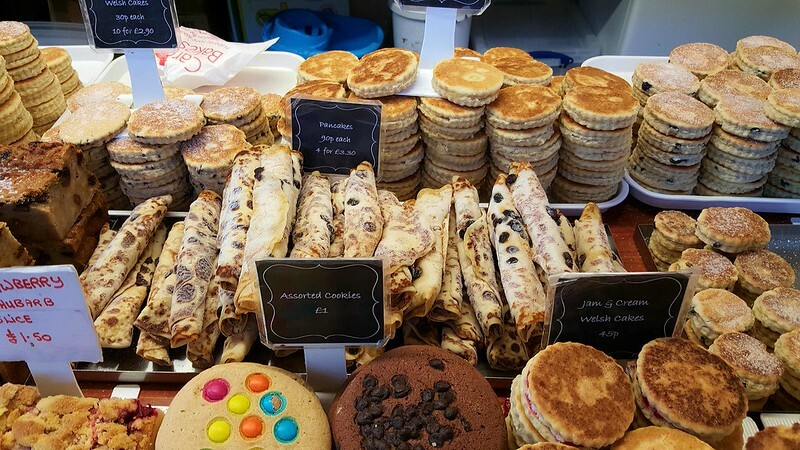 There are different flavors of Welsh cakes to enjoy. I remember buying a bunch the day we were about to return to London. Apart from this bakeshop, we frequented a burger stand which sells the best bacon and egg sandwich and cheeseburger that I have ever tasted. (Sorry Shake Shack and In and Out Burgers!) I forgot to take a picture of and take note of the name of the stand. All I remember is there are two 2 friendly ladies selling those. They always had greeted me warmly and most of the time I did not understand what they were saying because they were speaking in Welsh. However, we managed to understand each other with few ‘on the same page’ English terminologies and hand gestures. I will fondly recall how they prepared the food with their bare hands, no gloves, and that they do not issue a receipt. Like the barriotic/old school and non-bureaucratic style. 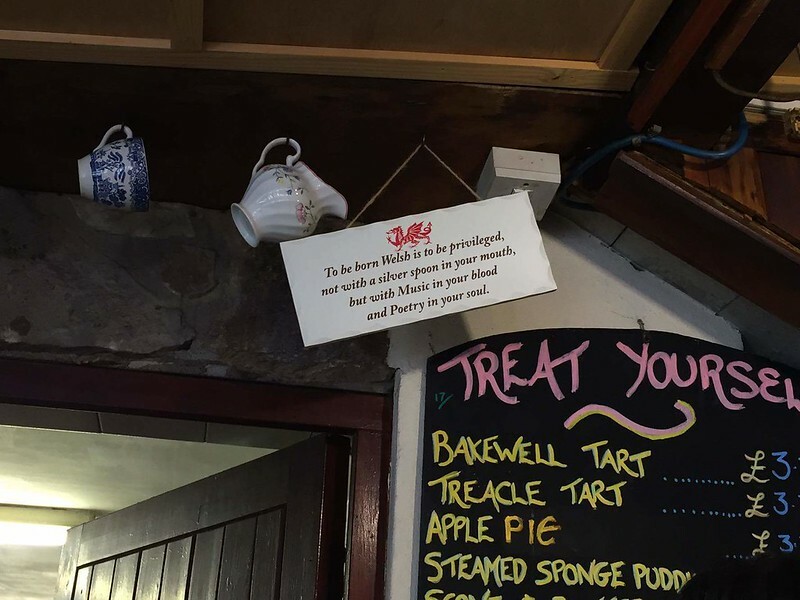 It is worth documenting it here that I enjoyed all my meals in Wales. I think there is something about how they prepare it. It might be cheesy to say this, but yes, maybe they do it with genuine care/love. Before I forget, in High Street, just opposite Jamie Oliver’s is Giovanni’s. It is a must that you try one of their pasta — they have the best carbonara and seafood pasta. Inside this restaurant owned by an Italian-Welsh are several photographs of the owner with different celebrities/high profile personalities that dined in his restaurant. The first one that grabbed my attention is his photo with Ed Sheeran. I guess that it is quite obvious at this point that one of our top experiences in Wales was (and will always be) interacting with the locals. They are warm and seem to be genuine when they smile. I felt eating home cooked meals when they give me one. I even felt for a moment that I did not want to leave. One of the highlights of our dealing with and understanding Welsh people was during the bus rides. It was quite enjoyable and an eye opener to be people watching. The drivers and the passengers seem to know each other so well. The driver has a distinct greeting for each and everyone, they chat with each other to the point that you might erroneously apprehend that they are insulting each other when they are actually expressing concern/care. If ever I get sad, I guess that one of the easy means to pick myself up would be to reminisce about them. There are other experiences that you might want to try when you visit the South Wales, like the railways, ghosts and other tours. As for me I am still making fun of myself because I did not have the chance to say any of the Welsh words I was practising. 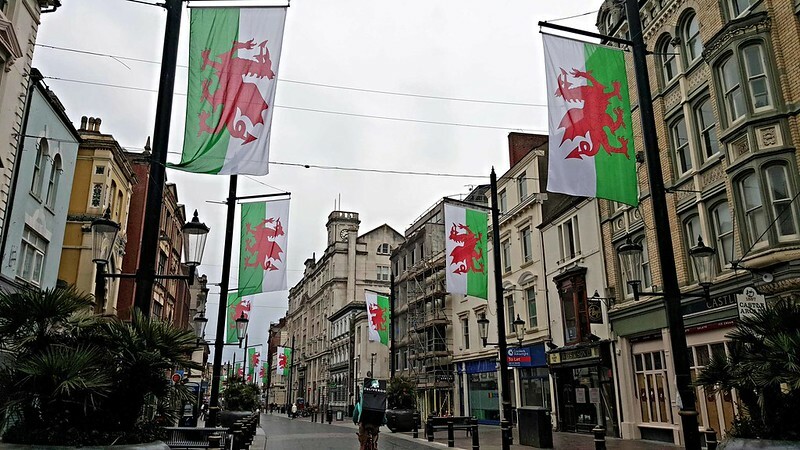 I am proud though that I finally learned to articulately say “Cardydd” (Cardiff in Welsh, pronouced as “Kair-deethe”).